Today is the 92nd birthday of the legendary Bengali film actor Uttam Kumar. Marking the day in a befitting manner, socio-cultural organisations arranged elaborate programmes in Bangladesh and West Bengal of India. Besides, satellite television channels of both the countries will air quality programmes to pay tributes to the late iconic superstar of the screen. At Uttam Mancha of Kolkata, Mahanayak Uttam Kumar’s birthday will be celebrated in a special way. Several musicians including Sutapa Bhattacharya, Shampa Kundu, Parnava,Sujoy Bhowmick, Sumana Chakraborty, Sispiya Banerjee, Samik Paul and others, will perform at the event, presenting some of the hit numbers of Mahanayak’s films. There will also be a calendar launch of Uttam Kumar’s film posters at the do. Uttam Kumar is a versatile genius of his time. He is admired as the iconic superstar of Bengali cinema of all time. Besides carving a niche in the filmdom; the superstar was a singer, composer, scriptwriter and director - all at once. Uttam earned fame through producing at least seven films alongside worked as singer, composer and director in another six films during his lifetime. Uttam Kumar was born as Arun Kumar Chatterjee at his ancestral home in Kolkata on September 3 in 1926. 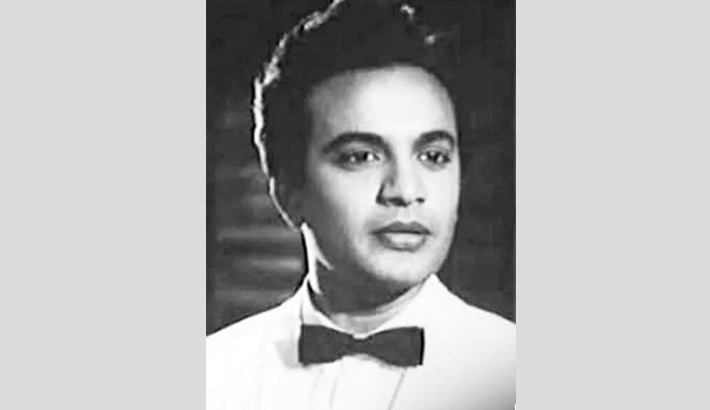 He is widely regarded as one of the greatest and classic actors of Indian cinema and known as Mahanayak. He remains as much of a cultural icon. Through his career he has earned commercial as well as critical adulation. Uttam is considered one of the most popular film stars in the history of Indian cinema. He managed to have numerous fans and he mainly concentrated in the regions of Bengal and Bangladesh. In his lifetime, he was a recipient of a number of awards, including National Film Award for Best Actor. In his honour, a Metro Station was renamed in Kolkata. His first release was Drishtidan directed by Nitin Bose. He also worked in an earlier unreleased film titled Mayador. Then he acted in about four to five flims - all of which were flops. He dubbed as the ‘Flop Master General’. When he used to enter the studio, people would laugh at him and pass comments like ‘Here comes the new Durgadas....Meet the new Chabbi Biswas...’. He even considered leaving the world of cinema forever and would work at Calcutta Ports. But, his wife Gouri Chatterjee told him that it better not to do a job as his heart is not in it. He, later, got the contact at MP Studios for three years. The studios produced the film ‘Basu Paribar’ in which he came into the prominence, but his breakthrough film was ‘Agni Parikshain’ in 1954. The film began the success of the all-time romantic pair of Uttam Kumar-Suchitra Sen, though they had first paired in ‘Sarey Chuattor’. It ran for a record 15 weeks and established Uttam in the industry. Apart from Bengali, Uttam Kumar also acted in some Hindi films such as ‘Chhoti Si Mulaqat’, ‘Amanush’, ‘Anand Ashram’, ‘Dooriyaan’, ‘Bandie’ and ‘Kitaab’. But his towering contribution was to Bengali cinema and the Bengali film industry on the whole. From 1947 to 1980, both in Bengali and Hindi, Uttam Kumar acted in 202 films. Of them, 39 were blockbusters, 57 were super hits, 57 made profits above the average and the rest flopped. Uttam Kumar breathed his last in the Belleveue Clinic in Kolkata on 24 July 1980 at the age of 53.